It is no surprise that fishing is one of the most popular participation sports of all. The combination of spending time with nature, battling to land a quality fish, and learning the techniques and skills needed to successfully make for an invigorating and exciting pastime. Another attraction of fishing is that it does not have to be as expensive as you might believe. 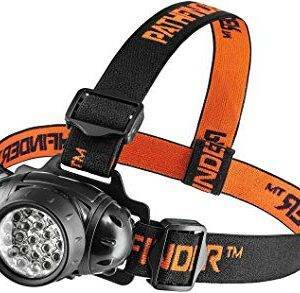 You can buy quality kit for sensible prices, and you don’t have to break the bank to have a very good set-up with some truly excellent equipment to hand. 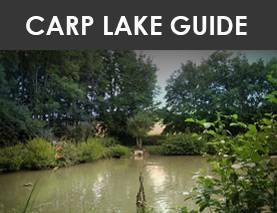 For many anglers, carp fishing is the ultimate; landing a big fish is, after all, an exhilarating experience, and one that – once you have enjoyed the thrill – will have you coming back for more. 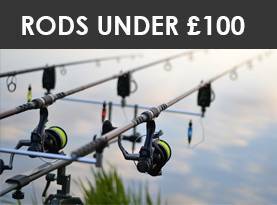 Did you know that you can buy a very good carp rod, from a top brand, for under £100? If your budget stretches a bit more, then we also have an article about the best carp rods for under £200. We have put the time and effort into researching them for you, so believe us when we say that what follows is a review of the top best carp rods under £100 carp rods on the market. We thought it appropriate to open with a choice from one of the biggest names in carp fishing gear – Preston. 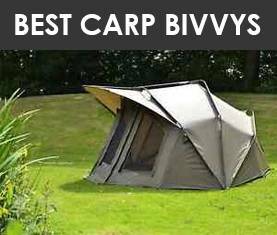 This established and renowned brand offers a great selection of rods and other equipment, and you are guaranteed a quality item when you buy from them. The Monster range features a variety of lengths of rod, we have chosen to feature the 11ft model, and each is superbly made, offers excellent performance, and comes at a sensible price. 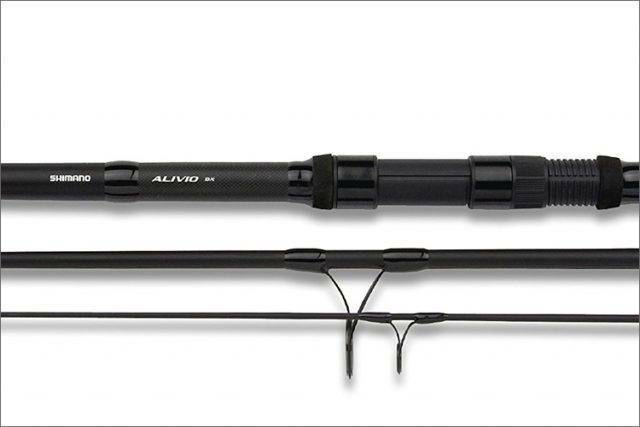 This is a well-made, very strong and durable rod yet has excellent give for big game fishing. 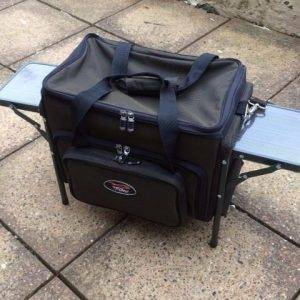 It is a two-piece design that makes it easy to carry around – and very quick to put together – and is perfectly suited for use with a wide range of accessories from this and other brands. In short, this is a difficult item to fault, and at a shed under our upper limit, while it may be one of the more expensive it is also of a guaranteed high quality, and we think excellent value for money. This very nice rod, from the well-known Black Rock brand, is another that sits at the upper end of our price-bracket, but we recommend you look closely at it before opting for a cheaper model. 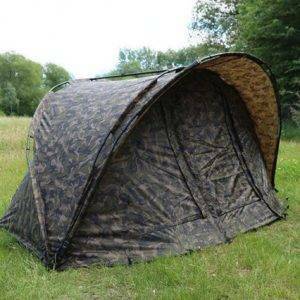 It is a 12ft rod, which is perfect for carp fishing – and also can be used for light sea use – and is a quality carbon model so you get a combination of excellent strength and very light composition. 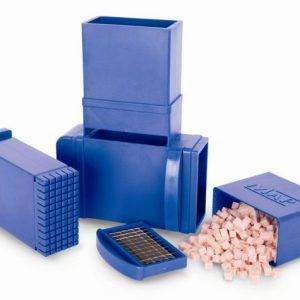 This one comes in six pieces, making for a very compact package when in transit, and has its own very handy rod bag. It’s easy to put together with quality joins, for added strength, and comes highly recommended by a number of satisfied users. There are others in this range of different lengths, so you have plenty of choice, and we can’t fault it. At the price, you may find cheaper, but if you want a great, portable rod in a quality hard case for travelling around, you need to check this one out. If we were to tell you that there is something very special about this particular rod, you might be a little wary! However, there really is, as this one is developed by rod expert Kevin Nash with the help of expert carp fisherman Terry Edwards, and there are few better credentials than that! 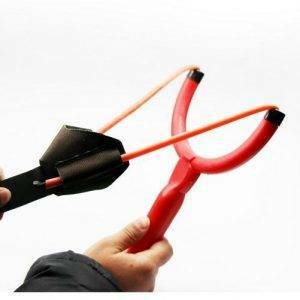 It is extremely light and designed for casting a long way, is superb to handle and as strong as it is flexible, and is highly recommended. This one claims to be the lightest extreme distance rod available, and we have no reason not to believe such claims. It is a stylish piece of kit that is also a no-nonsense design that majors on doing the job in a practical fashion, and as such we can’t help but recommend you have a closer look. Once again, it’s a 12foot rod that comes in at the upper end of our price limit, but it’s a great choice. This is another quality rod that will entice many buyers. We have chosen to feature the 13-foot version, but advise you to bear in mind that there is also a 12-foot model available that is identical bar the length. It’s from Carponizer, who offer a wide variety of carp fishing gear, and it’s a very nice, high-carbon rod that combines excellent stiffness with suitable flexibility, and amazing light weight. The test curve on this one, the 13’ version, is 3.5lbs which is an impressive performance, and it is nice to handle and very well-made. You get it in two sections so it is easier to transport, and it is fitted with quality joins. We’re getting to the point where we are repeating ourselves, but that’s inevitable when reviewing items that are designed for a specific job, and offered at a very similar price. Once again, a quality carbon rod from a good maker at just under our upper price limit. We have tried to keep our reviews to the best brands, so that we are sure we are offering you’re the top quality rods, and there are few more highly-regarded brands in the carp fishing world than Daiwa. 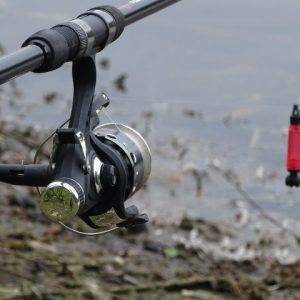 This long-established maker has a vast range of gear of all types, and this rod – the Windcast Stalker – is one of a collection that is very highly regarded by a lot of very satisfied users. We are featuring the 10ft model here – by no means the longest in the range but among the most popular – and it is a very nice, top quality rod that offers a great deal of innovation and attractive features. It’s a high-carbon rod that weighs little more than 300g, which is astonishingly light, and breaks down into two sections for ease of transport. The test curve is just 2lb, which makes this one perfect for smaller fish, and it is priced similarly to those above, thus reflecting the quality of the product. FTD – Fishing Tackle Direct – was one of the first brands to capitalise on the online shopping craze, and now offers a full range of excellent fishing gear of a high quality at excellent prices. This rod, a 10-foot model that is also available in other lengths, is typical of the brand in being great quality – it’s a carbon rod with cork handles and other features – at a sensible price, and we can’t fault it. 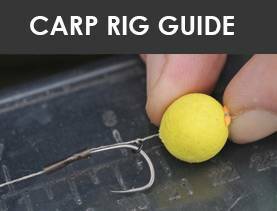 With the rod, which comes as a two-piece but is also designed to be carried already assembled if necessary, you will find it is already equipped with quality guides, so all you need is the line and you’re ready to go. 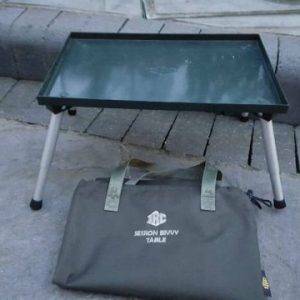 It also has a very nice rod sleeve that makes it much easier to transport. This one is intended for F1 fishing – that’s the popular hybrids that are so enjoyable to fish for – and can also be used for full carp fishing. A great rod, at a great price, and well worth adding to a shortlist. That’s our selections for the best sub-£100 carp rods on the market right now, and we are confident we really have picked the best ones. Our descriptions have pretty much given you the features you need to look for – rod length, weight, number of pieces, test curve and price – and as all are in the same cost-bracket, we think we can skip forward to our conclusion. Now that we’ve shown you that you the best carp rods for under £100, which one do we recommend you buy? In all fairness, each one of those listed is worth considering, and as they are all pretty much the same price, cost is not a consideration. It comes down to personal choice, and what size of rod you think you need. If you are looking for a 10ft rod, for example, we reckon the Daiwa Windcast is the ideal choice; it’s from a top brand, is great quality, and offers you the sort of performance you expect from such a rod. For longer, we suggest you check out the Nash Tackle model, number three on the list. This is a very high-quality, amazingly light rod that offers everything you need for lengthy casting and enjoyable fishing, and it really can’t be faulted at the price. 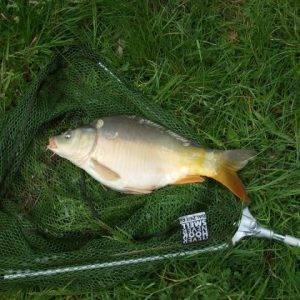 We hope that we helped you find the best carp rod for under £100. Great post! 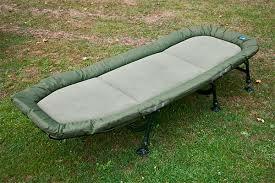 I always love finding a bargain so it’s really useful to find recommendations for carp rods under £100. I definitely think you can get a rod which performs really well without having to break the bank. 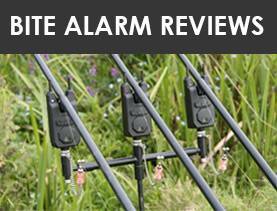 I often go for a Daiwa rod so might give the Windcast a try!